By the time James Stirling was pronounced Locomotive Superintendent of the South Eastern in 1878, the Locomotive Department was desperate for new motive power. 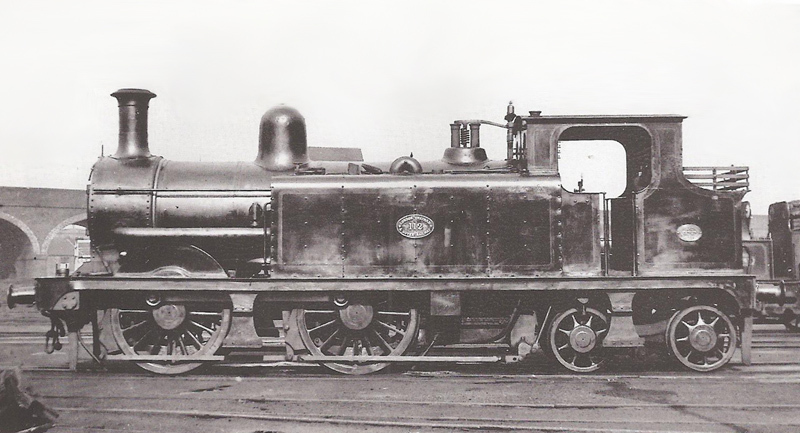 Stirling’s attention was immediately focused on preparing designs for both express passenger and goods traffic, which meant that it wasn’t until 1880 that proposals for a new 0-4-4 tank were unveiled. 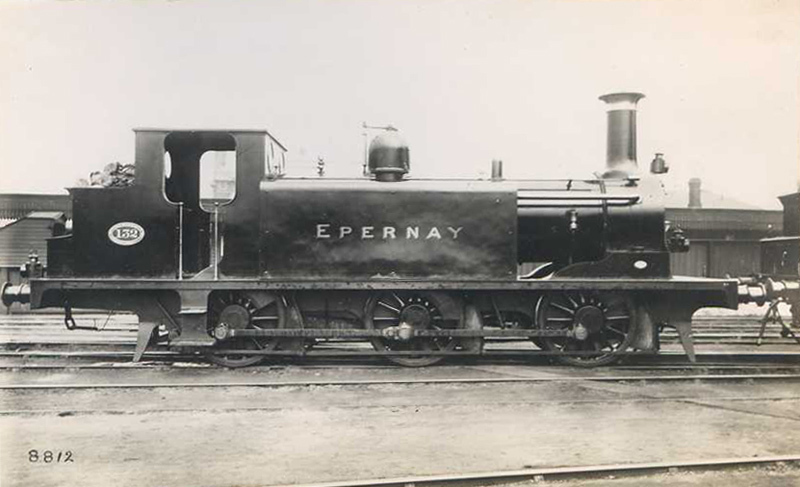 The design was immediately passed by the Locomotive Committee, with twelve examples slated to be built at Ashford and a further ten ordered from Neilson. 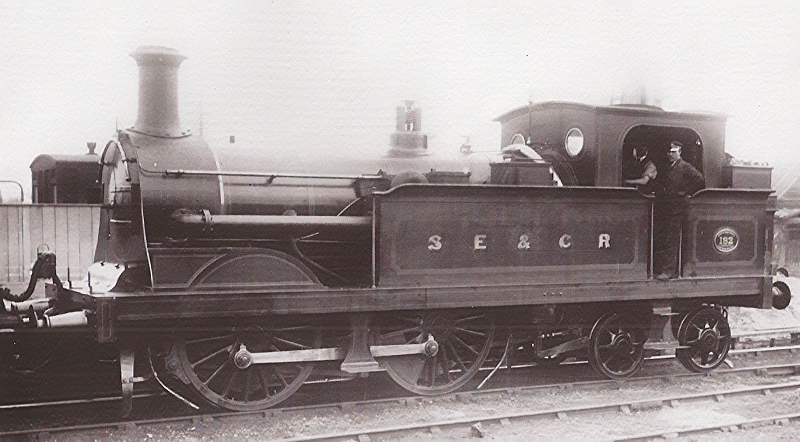 The design proved to be reasonably successful, and so, with modifications to successive batches, the class became the South Eastern’s standard suburban tank until the turn of the century, with 118 examples built down to 1897. The twelve Ashford locos, delivered to Bricklayers Arms between June 1881 and May 1882, were fitted with condensing apparatus and slightly shorter chimneys than their normally aspirated sisters. 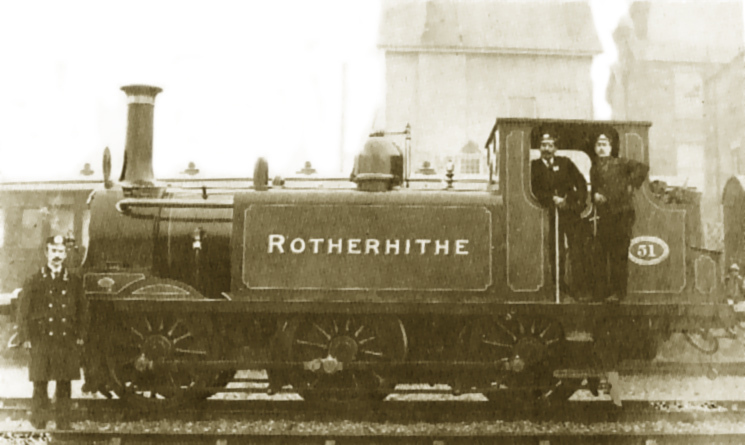 Eight of these were sub-shedded at Woolwich Arsenal for workings from that station to Enfield, Muswell Hill and Alexandra Palace on the Great Northern via the Widened Lines, and the other four worked out of Bricklayers Arms on Addiscombe Road to Liverpool Street services via the East London Railway. 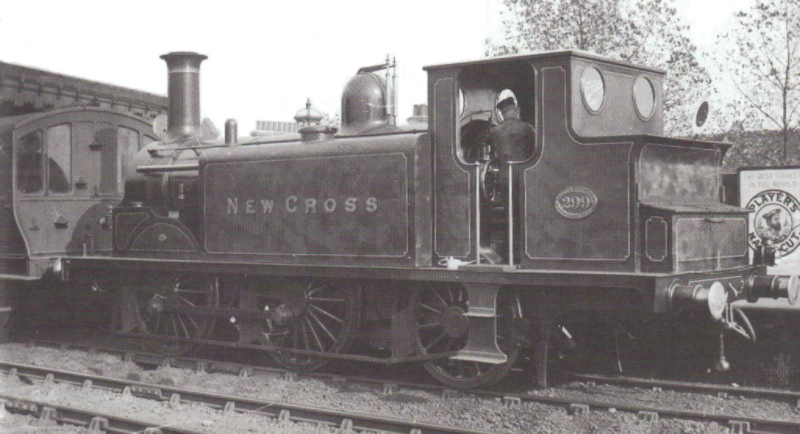 This latter service was cut back to St. Mary’s as early as March 1884, and ceased six months later with the introduction of Metropolitan & District services to New Cross (LBSCR) from Hammersmith via Mansion House and Metropolitan services from Hammersmith to New Cross (SER) via Kings Cross. The loss of the ELR services and the increase in activity on the Widened Lines brought the allocation of the condensing members of the class under scrutiny, and Bricklayers Arms lost its four condensing locos – numbers 5 and 181 were stripped of their condensing gear, and the remaining two joined the eight at Woolwich Arsenal for Widened Lines duties. 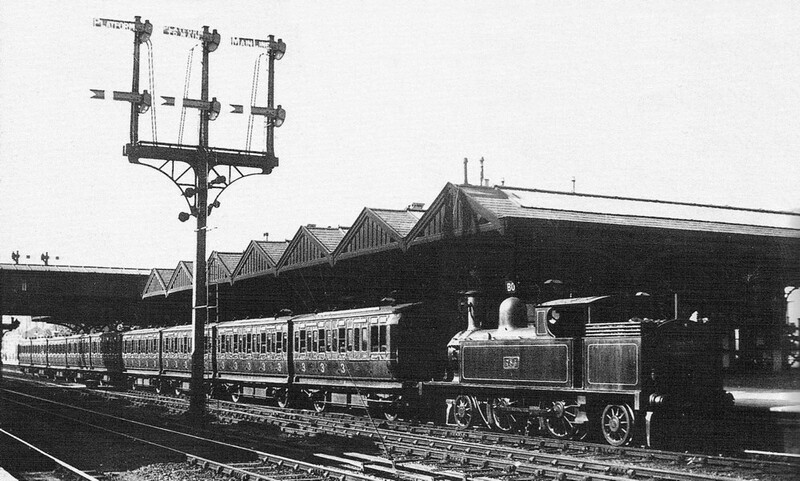 With the opening of both the Extended Widened Lines and New Thames Tunnel, a limited South Eastern passenger service once again passed under the river, as did a number of goods trains to the new SER depot on the northern shore, which led to numbers 5 and 181 being refitted with their condensing apparatus. Number 182, seen here c1903 in SECR livery, will be the example appearing on Basilica Fields, albeit in pre-1896 SER black, lined red (anyone know of photos of condensing Qs in SER livery?). Note that the exhaust pipe from the smokebox only entered the left-hand tank, steam entering the right-hand tank via a large pipe over the firebox, and the loco carries the Stirling family trait of a domeless boiler. Dan Garrett has a kit of the Q class in preparation, which I’ll be making use of.